According to TMZ, 20-year-old Kylie began telling friends earlier this month at the Day N Night Fest in Anaheim, CA. 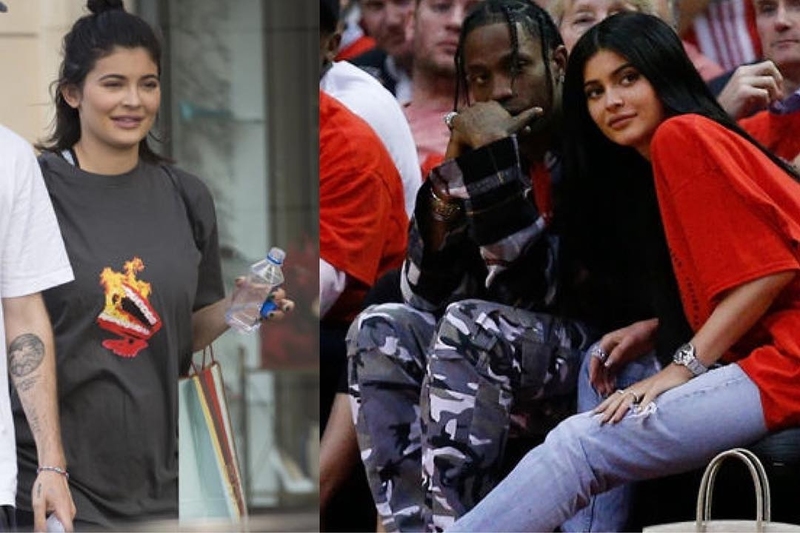 Sources also say 25-year-old Travis Scott, Kylie's boyfriend, has also been telling his friends. A TMZ source says Travis was at a recent event telling people about the pregnancy and how his life was going to change. If they are punking their friends with repeated pregnancy proclamations, it's super weird ... especially in light of the photo (above) which Kylie herself just posted on Snapchat. It's also interesting ... Kylie's been posting old pics of herself on Instagram and current shots from the chest up. Kylie and Travis have been together since April.